Do you have a Twitter account? If so, you too are a public figure. 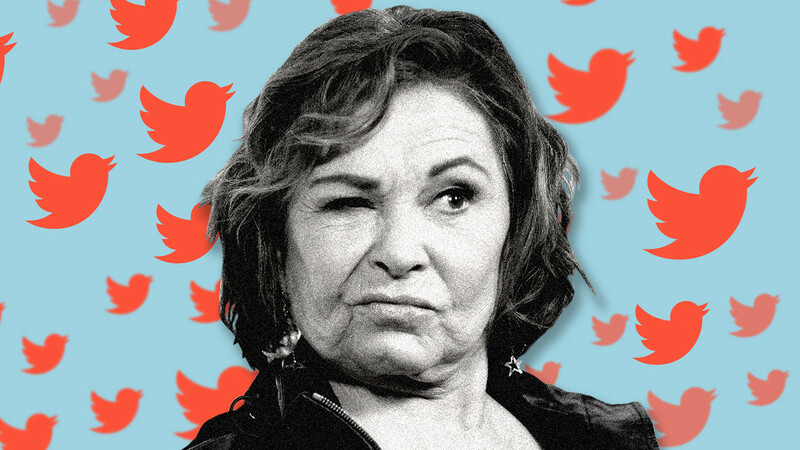 cancelled the successful reboot of “Roseanne” after Roseanne Barr sent a racist tweet about Valerie Jarrett, a former adviser in Barack Obama’s White House. Barr apologized, but the damage was done. Several members of her cast and ABC executives denounced Barr’s tweets. “Roseanne’s Twitter statement is abhorrent, repugnant and inconsistent with our values, and we have decided to cancel her show,” Channing Dungey, president of ABC Entertainment, who is black, said in a statement. ICM Partners talent agency also dropped Barr. Many people are plugged into the news cycle all day long. One in five employers think staff is productive fewer than five hours a day, with most citing smartphone use as the culprit, a 2016 CareerBuilder report of hiring managers found. That does not, however, mean you should share all your opinions on social media. The First Amendment protects free speech, but it may not protect your job if you do or say anything that is contrary to the company’s values, even if it’s a joke. In employment-at-will states, employees without a contract can be fired without cause. which runs dating websites Match.com and OkCupid, was fired after tweeting offensive comments about AIDS in Africa, before stepping on a plane to go there. Her tweet went viral while she was on the long-distance flight. IAC said at the time: “The offensive comment doesn’t reflect the views and values of IAC.” Sacco later apologized “for being insensitive to this crisis,” and later said the tweet was intended to be satirical. She left IAC in January 2014 and returned in January 2018 as vice president of communications at Match Group. Anthony Weiner, the former Democratic congressman for New York, last year began a 21-month prison sentence for sexting with a minor. But he first resigned in June 2011 after sending a sexually explicit photo of himself to a college student over Twitter. At first, Weiner claimed that his account was hacked. While he lost his $174,000-a-year job — the standard salary for members of the House and the Senate — he walked away with the equivalent of around $1.2 million in retirement benefits after just a dozen years in office. He later expressed remorse: “These destructive impulses brought great devastation to family and friends, and destroyed my life’s dream of public service,” he said. Even posting photographs or retweeting someone else’s tweet can be enough to get fired. Despite repeated warnings, people still get fired for sending an inappropriate photo or tweet. The problem with sites like Twitter and Instagram is that immediacy and informality are also social media’s greatest dangers, experts say. And in many cases, there’s no turning back once you hit “send” and there are plenty of reasons not to. Case in point: Five workers on a dam in Oroville, Calif., were fired earlier this year for taking photos of the dam and posting them on Instagram despite a strict no social media and no photos policy at the site. In fairness to American workers, it’s a double-edged sword: They’re often times encouraged to tweet and maintain an active social media presence. And employees, particularly those who are in the public eye, are often judged by how many followers they have on Twitter when they apply for jobs. The role social media plays in workers’ lives is “not always clear-cut,” the Pew Research Center, a nonprofit think tank in Washington, D.C., found. Companies, in the meantime, must remind employees to state that their opinions do not reflect that of their company. But when it comes to crossing a line — whether it’s racism, homophobia or sexism — such caveats may not enough. 0 responses on "How one tweet can blow up your life"